Description: JOUJOU aims to bring about change – a sexual revolution. Lets take the secret out of the sexual experience. Freedom to explore and own your sexuality, grow in knowledge, appreciation and respect of ones pleasure is our mantra. JOUJOU promotes harmony and acceptance of difference because the sexual experience is our common element. Through the senses we awaken our minds and our bodies; fuelling them to create our better tomorrow. 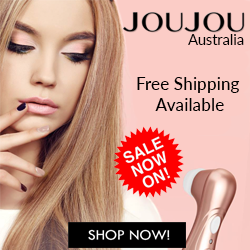 JOUJOU aims to bring about change – a sexual revolution. Lets take the secret out of the sexual experience. Freedom to explore and own your sexuality, grow in knowledge, appreciation and respect of ones pleasure is our mantra. JOUJOU promotes harmony and acceptance of difference because the sexual experience is our common element. Through the senses we awaken our minds and our bodies; fuelling them to create our better tomorrow.